GI Type Black Mechanics Tool Bag | BUDK.com - Knives & Swords At The Lowest Prices! 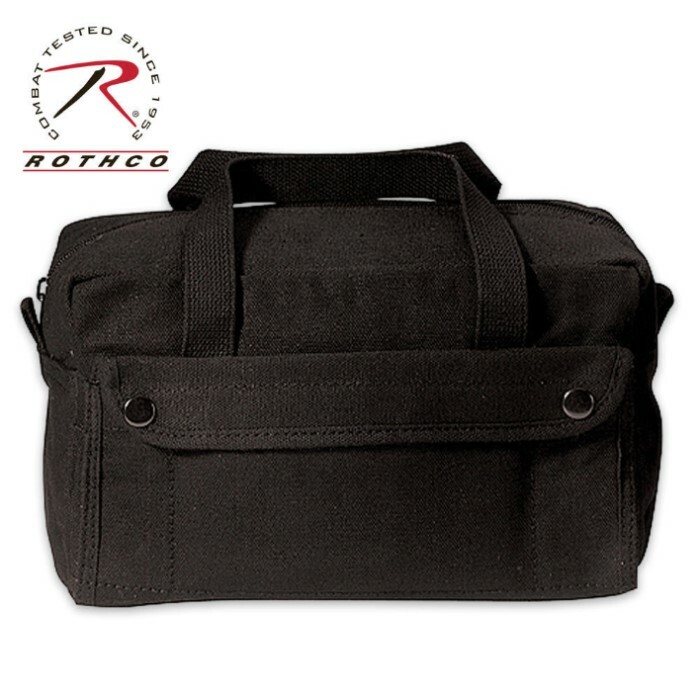 Carry all your tools in this Black Mechanics Tool Bag! Constructed of heavyweight cotton canvas, this bag has a giant compartment, two outside snap pockets, eight tool pouches inside and a nylon zipper. This sturdy bag can handle heavy use.